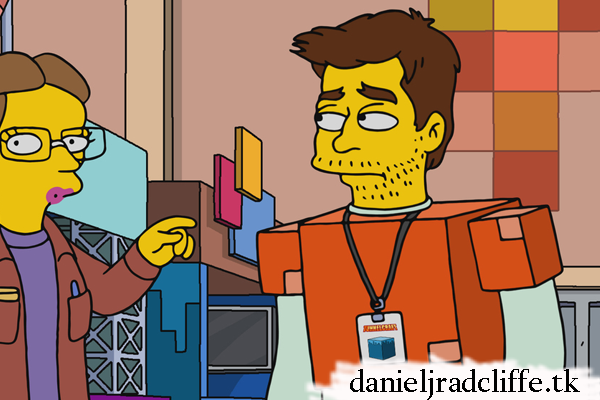 The first promotional photo for The Simpsons No Good Read Goes Unpunished episode featuring Daniel as himself is released by Fox. I noticed that Fox now mentions 9 PM (see below) instead of the earlier annouced 8 PM. In attempt to bring the family together, Marge forces everyone to hand in their electronics and take a trip to a book store in the all-new “No Good Read Goes Unpunished” episode of THE SIMPSONS airing Sunday, April 8, (9:00-9:30 PM ET/PT). 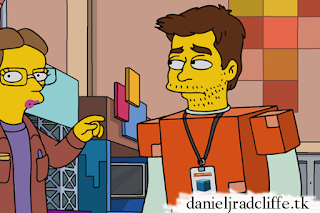 Pictured: Guest Voice Daniel Radcliffe as himself (C) and Homer (R).